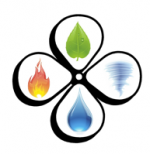 Get an EnerGuide rating for your new Vancouver Island home, save money on energy costs and put money back in your pocket with help from Elemental Energy Advisors' Certified Energy Advisors, Cristi & Kate. Home builders and owner-builders can receive $2,000 or more in incentives from BC Hydro and Fortis for building an energy efficient home. Since the current energy incentives began in 2010, Elemental Energy Advisors have helped builders obtain more than $100,000 in incentives for building energy efficient homes. Elemental Energy Advisors can work with builders to review house plans before construction to suggest ways to build a more energy efficient home, and can review heating and hot water options. They provide a projected EnerGuide rating for a home, and complete a building envelope test once the home is complete. A typical new home will qualify for the minimum rating of EnerGuide 80, required for the incentives. Building Green can be cost efficient and rewarding for both builders and home-owners, and is made easier with help of Certified Energy Advisors at Elemental Energy. Let them do the work and put money back in your pocket, with energy efficiency incentives and immediate savings in your utility costs. Building energy efficient saves you money now and adds value to your home the day you decide to sell. IT PAYS TO ENERGUIDE! Want to see your business listed here? Please review our advertising information and contact us today.